SIMULIA Tosca Structure is the market leading technology for the rapid and reliable design of lightweight, rigid and durable components and systems. Using topology optimization you obtain optimal design proposals already during design concept. Specific detail improvements through shape and bead optimization respectively make your designs ready for production. 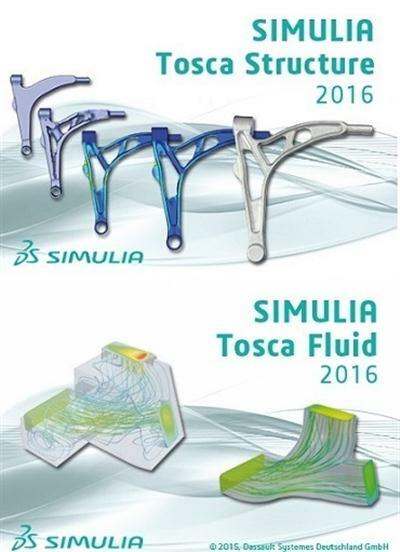 SIMULIA Tosca Fluid is so far the only available system for topology optimization of channel flow problems. With only one CFD solver run an optimized structure with e.g. significantly reduced pressure drop or homogeneous flow can be derived. Already in a very early phase of the product development cycle Tosca Fluid helps you find new optimized design proposals.